Our range of toilet suites offer stylish exposed or behind the wall toilets, affordable traditional or contemporary toilets with water efficient technologies. 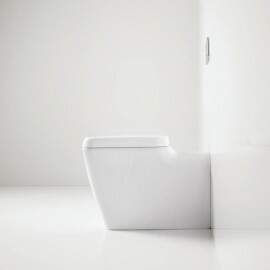 Toilet Suites Please click on images to view our full range. Close coupled toilet suites have a traditional look. The cistern is fitted directly to the pan so that it becomes a complete unit, avoiding the need for a visible connection pipe. You can complete your bathroom space with a beautiful bidet to match some of the latest toilet designs. Whether it be organic in shape, geometric in line or minimalist in form.